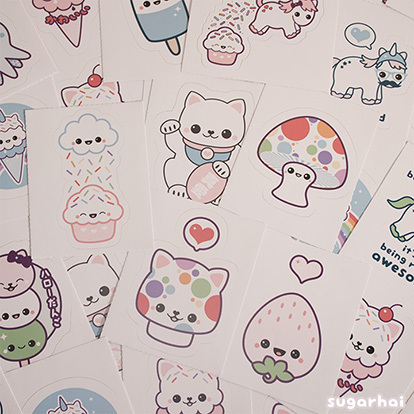 Get free sugarhai stuff including stickers, temporary tattoos, mini art prints, and more. It's a Self Addressed Stamped Envelope. Write your address in the center of a blank envelope, put a stamp on it, (don't seal it) then put it inside another envelope and mail it to me. Have a question or comment about this page? Send it to me. Want to be the first to hear about more free stuff? Subscribe to my newsletter.